Our SEO expertise is built upon our Frontline knowledge and skills in the segments of web designing and development. Rank Vira does not offer crude SEO which has been patched up from above;we managed it in a generic manner. We deliver results upfront and evidencesso that our customers websites will be rated at the top of the generic results on the SERP. 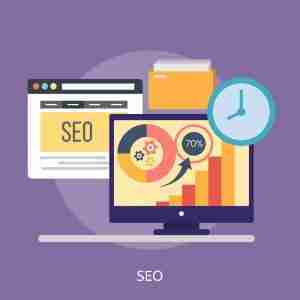 In order to gain top positions in Search Engine Page Result (SERP), Rank Vira tends to understand web visibilities, especially in the movement of overcrowding web pages online. Our primary specialization is Search Engine Optimization (SEO). At Rank Vira, we fully manuever and guide your built to lasts websites so that it aligns to the SEO environment. We work to develop super visibilities for the websites through all possible means as a fundamental effort to make the web identity a viable one. Most resonant selection of the keywords based upon the latest smart reports of the Google Trends and Google Analytics so that the best escorts are developed for the website and web pages. To allow better indexing by the crawler bots of search engines. Most intricately determined meta tags so as to let your website and content getting recognized for the right search results. For inviting the dedicated traffic from the authentic and viable sources. The most refined and well carved out niche social buzz passages are developed for the required orientation. We also offer eWoM branding. Contents marketing through well hosted CMS and blogs spaces on your sites. Hosted and generic search engine marketing is offered. We make out our websites as responsive and with liquid designs. Feel the momentum with us! Our SEO efforts are generic and deliver effective results to the viewers.